Are you looking for an idea for a great handmade Christmas present? 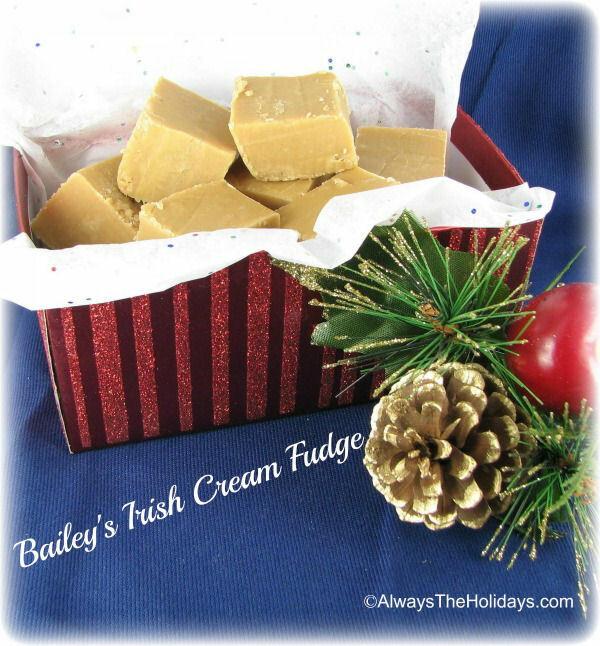 This recipe for Bailey’s Irish cream fudge is sure to please your friends. Bailey’s Irish cream is a traditional favorite liqueur. The flavor is rich and creamy and it can be used in all sorts of holiday desserts to add a special touch to any sweet treat. The fudge is easy to do. If you don’t have Bailey’s Irish Cream on hand, try my Homemade Bailey’s recipe. It tastes good, is easy to make and costs much less than the original Bailey’s. The fudge is easy to make. Just be sure to cook it as long as the recipe suggests so that it will set well. 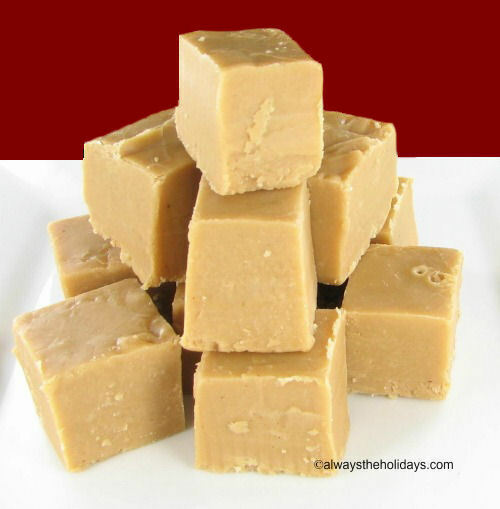 Fudge makes a great Christmas gift. Just line a Dollar Store holiday gift box with some tissue paper, add your fudge and you’ll have a personalized gift that everyone will love. Be sure to include the recipe! Your gift recipients will want to make it themselves! In a small bowl combine Bailey's Irish cream and the instant coffee. Microwave on high for 10 seconds. or until melted and dissolved well. In a medium saucepan, over medium heat, melt the butter, milk, sugar and marshmallow cream. Slowly stir in the Bailey's coffee mixture; mix well and boil for 5 minutes. Remove from heat and stir in butterscotch chips and vanilla extract. Stir for 3-4 minutes. until the mixture is smooth. Pour into a foil lined 8 x 8" pan. Chill to set and then cut into pieces.